Islamic Financing has gathered strength in Western Countries and specifically within the United States. Although Islamic Financing makes up less than 2% of all banking assets globally, the rate of growth has been faster than any other banking assets. Large institutions such as Goldman Sachs entered the Islamic Financing market via a $500m US Dollar Islamic bonds offering that was oversubscribed by $1B US Dollars. Smaller projects within the United States have also yielded great success. Islamic financing is a type of social and ethical investment that is gaining major traction in western countries. To this extent, my law firm has developed investment vehicles for Islamic adherent individuals that meet the United States Immigration’s investment standards and allow individuals to adhere to their faith. Within the United States more and more projects are being developed that adhere to Islamic Banking standards while allowing foreign individuals seeking a Green Card to obtain it without violating their religious values. Investments in the area of Real Estate, Technology, Mechanic Shops, Hotel Management are examples for projects that are Sharia Law Compliant as well as meet the needs of the American Immigration system to obtain a Green Card. Law Offices of Robert Abedi has lead the design and business development of projects in Real Estate development such as multi-unit apartment complex, hotel/motel development and management, mixed-use residential and commercial properties, residential housing, and commercial real estate acquisition and management. When structured correctly, these vehicles allow Investors to keep assets in the United States (Wadiah) by meeting both Sharia Financing standards and obtaining U.S. Immigration requirements to obtain a Green Card. Investors can choose to either individually invest in these models, or via a Joint Venture (Musharaka) a larger investment pool designed to acquire and invest in larger projects. These investments can yield an annual return on investment with disbursement based on gains (Mudarabah), and an eventual liquidity event based on the sale of the project (Mudarabah). Other investment vehicles include but are not limited to Professional Services, Restaurant ownership and management and Technology acquisitions. In recent years, my law firm has found a large number of young investors with a strong capacity in computer coding languages, acquiring technology companies and creating the products and services while also obtaining a Green Card. Investing in technology companies requires a deep understanding of the technological product, customer base, and market potential. By acquiring the right vehicles that befit the needs of the investor they can be actively involved in the tech boom and also obtain U.S. Residency. When looking at technological investment, we analyze the capacity of the investor and specific objectives of investment. Once we understand what they are seeking to achieve we will develop a vehicle that is both Sharia Law compliant, U.S. Immigration compliant and allows to investor the flexibility to achieve what they want. Depending on the investment vehicle, control of the investment could reside fully or partially with the investor. If the investor engages in a Joint Venture project (Musharaka) the investment documents will codify investor legal rights. It is exceptionally important that the structure matches the legal requirements set forth by U.S. Immigration Services, otherwise Investors could risk not meeting the requirements and not qualifying for a Green Card. Sole ownership projects would provide Investors full control of daily management and investment. The Law Office of Robert Abedi has a review process to advise on the Investor on meeting business and immigration requirements. This ensures that the investments are moving towards the right direction. 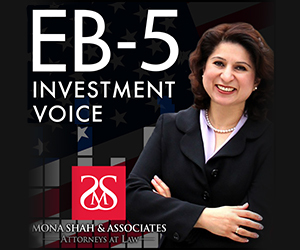 The general requirement for obtaining an Investment Visa (EB-5) that meets Sharia law requirements is a $1 US Dollar investment that will be used to acquire an asset (Company, Property, etc.) and derive revenues from it while meeting the requirements for job creation. Within the United States larger investments tend to present better and more stable opportunities than smaller investments. About Robert Abedi, JD, ESQ. Back in 1999, after 10 years of legal experience, Robert set up his own immigration law firm with the idea of providing result driven and family-like practice to my clients. Over the years, these ideas have become my promise. One that comes from me, my staff, to you and to your family. Robert was primarily focused on the immigration nightmares, and he created five strategic pillars to guide clients as they began to turn their immigration experience around. 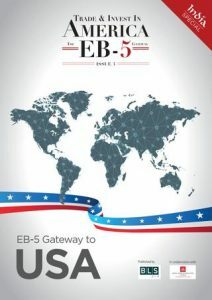 The first pillar was securing the financial stability to provide consistent quality across the board by offering the refund of legal fees for EB-5 applicants if a denial was based on attorney error. Second was communicating quickly and directly with each client. Third was creating a fully electronic technology as it comes to give clients immediate and real time access to their cases. Fourth was taking advantage of technology to improve and implement an electronic real time file access system for each client. The fifth and most important pillar has been a central focus of Robert’s work throughout his career: making a difference by addressing our clients most prominent immigration needs. Welcome to my law firm, your successful, result driven and family style Immigration Law Firm, where our clients are our family. Read the Electronic Version of the Latest Edition!